We are pleased to announce the release of OMERO.figure 4.0.2. 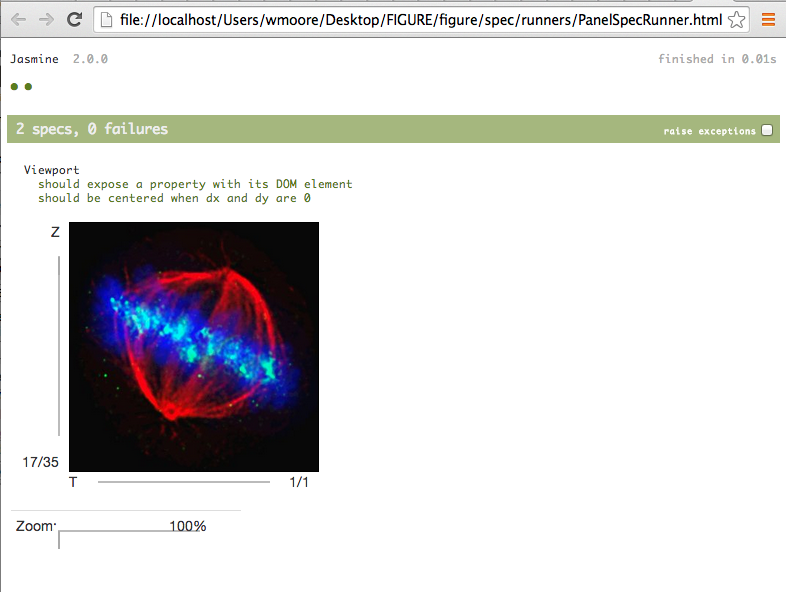 We are pleased to announce the release of OMERO.figure 4.0.1, a bug-fix release. We are pleased to announce the release of OMERO.figure 4.0.0. This is a major release that adds support for “big” tiled Images. This means that OMERO.figure can now handle WSI image data or other images with large XY sizes. It includes changes to the way ROI stroke-widths are displayed. Previously, ROI stroke-widths were measured in image pixels so that lines appeared thinner as an image panel was zoomed out. However, this meant that lines of similar width can appear at different thicknesses on different images. It also meant that on “big” Images that were zoomed out a long way, lines would disappear completely. Now, stroke-widths are measured by page points so all lines of a similar stroke-width will appear the same thickness on the page, independent of the size or zoom of the panel they are on. When older figures are opened with OMERO.figure 4.0.0, stroke-widths will be updated so that the appearance of ROI lines remains the same. This release also upgrades the required version of OMERO to 5.4.0 or newer. We are pleased to announce the release of OMERO.figure 3.2.0. Page layout supports cropping of the page to fit around image panels (PR #252). Creation of new labels from Tags on the image (PR #254). Allow renaming of saved figures (PR #251). Rename of channel rendering setting “Reverse intensity” to “Inverted” (PR #238). These features are included in the updated User Manual and a new demo video. Fix export of multi-page PDF info section with ReportLab 3.4.0 (PR #260). Fix display of Z and T index ranges in crop dialog (PR #258). Fix listing of files in the Files > Open dialog when user has middle name (PR #247). Fix display of channel buttons in IE11 (PR #241). Add IDR figure to demo (PR #242). Remove extra computation when converting radians and degrees (thanks to https://github.com/carandraug) (PR #236). Fix export of figures created before the introduction of the Reverse Intensity feature in OMERO 5.3.0 (PR #229). Fix label of channels with LUT assigned. This fixes the failure when exporting the figure (PR #230). Set the background color of all pages when exporting a figure on multiple pages (PR #231). We are pleased to announce the release of OMERO.figure 3.1.0. NB: If upgrading from before 3.0.0, please read the release notes for 3.0.0 about switching to installation via PyPI. Support for italics and bold in panel labels using markdown syntax (PR #209). Export of figures as new OMERO Images (each figure page creates a new OMERO Image) (PR #210). Set the background colour of figure pages (PR #211). Support for Reverse (Inverted) Intensity (PR #219). Allow scripting of various changes to the figure from the browser devtools console. See (PR #216) for examples. Format the json in saved files to be more human readable (PR #212). Fix slider range issue when min pixel intensity is greater than 9999 (PR #213). Remove unused dependencies (PR #223). We are pleased to announce the release of OMERO.figure 3.0.0. This release builds on the previously unannounced 2.0 release in which the installation of OMERO.figure was moved to PyPI. Previous installation of OMERO.figure should first be removed before installing from PyPI. Installation is now much simpler. Principally the install is done via pip, with some additional configuration settings. For full details see our install and upgrade documentation. This change means that OMERO.figure now requires OMERO 5.3.0. In the ‘Edit ROIs’ dialog, ROIs can be loaded from OMERO and shown on the image. Shapes can be selected to add to the image within the figure. Set an explicit x, y, width and height for selected panels (PR #169). When resizing panels, you can enforce the current aspect ratio (PR #193). Choose look-up tables from those provided by OMERO. Can render each channel with a different look-up table. Additional look-up tables can be added to the OMERO.server. OMERO.figure supports the new ‘open-with’ functionality. Select Images in webclient, right-click on the tree and Open with… OMERO.figure to open images in a new figure. Other apps added to the open_with configuration can be opened directly from within OMERO.figure. This will be used for the new OMERO.iviewer app, to be released shortly. Rendering setting inputs for channels allow entering of numbers instead of only using sliders (PR #166). We are pleased to announce the release of OMERO.figure 1.2.1. This is a minor release that contains a small number of bug fixes and minor feature improvements. Grab the release from the OMERO.figure 1.2.1 download page. We are pleased to announce the release of OMERO.figure 1.2.0. This release introduces support for illustrative ROIs on figure panels. NB: ROIs drawn in OMERO.figure cannot yet be saved as new ROIs on the OMERO server and it is not yet possible to load ROIs from OMERO to use in OMERO.figure. The ROI viewer for drawing and editing ROIs does not support rotated image panels. Therefore, rotated panels are displayed without rotation while adding ROIs in the ROI viewer. Rectangle ROIs cannot be rotated. Therefore, crop regions from rotated images will lose their rotation when pasted to create ROI rectangles. ROIs extending outside of panels are not cropped to the panel when exported to PDF. Some of these issues are demonstrated in the video above. Grab the release from the OMERO.figure 1.2.0 download page. As you may have heard, we are currently adding ROI support to OMERO.figure, allowing you to draw ROIs on image panels and copy & paste these between images. This post describes the new features and invites you to try them out on the demo app and provide feedback ahead of their inclusion in the next release. NB: It should be noted that ROIs created in OMERO.figure are saved within the figure itself in the same way as labels & scalebars. They can’t yet be saved back to the OMERO server, although we may add this functionality in due course. To add ROIs to panels in the figure, select a single panel, click on the Labels tab and then click on the Draw button under the ROIs header. This will launch the ROI viewer, where you can draw, edit and delete a number of ROI types; currently we support rectangles, lines, arrows and ellipses. Drawing and editing of ROIs should “just work” as you expect it to: select the type of ROI in the toolbar, as well as the line width and colour. Then draw the ROI on the image. You can also use the select arrow to select and edit existing ROIs. Selected ROIs can be copied, pasted and deleted using the Edit menu options or keyboard shortcuts. Copying and pasting can be used to duplicate ROIs on a single image, but also to transfer ROIs from one image panel to another. Click OK at the bottom of the viewer to save changes to ROIs and close the viewer. In the Labels tab, you can copy, paste and delete all the ROIs on the selected image panels using the relevant buttons, without having to open the ROI viewer. You can also bulk edit the ROIs on selected images, changing the line width or colour of all ROIs at once. This allows you to see the effects of these changes on the whole figure as you are editing. OMERO.figure allows you to crop an image panel by zooming and panning or by using the Crop button. You can now copy and paste the crop region from one image to another, using the buttons at the bottom of the Preview tab. The pop-up crop dialog has also been improved to allow you to crop an image based on various regions. If the image in the figure has any rectangular ROIs on it then you can pick one of these as a crop region. You can also use a region that you have copied to the clipboard: either a crop region from another image or a rectangle ROI that has been copied to clipboard as described above. This makes it easy to crop an image to a chosen ROI that is also displayed on another image in the figure. As described above, you can copy ROIs from the ROI viewer or via the ROI Copy button in the Labels tab. If you copy a rectangle from one panel, you can paste this as a crop region on another panel, using the Paste button on the Preview tab. Conversely, you can also copy a crop region from one panel and paste this to create a new rectangle ROI on another panel. The ROI functionality described here will be in the next release of OMERO.figure 1.2.0. 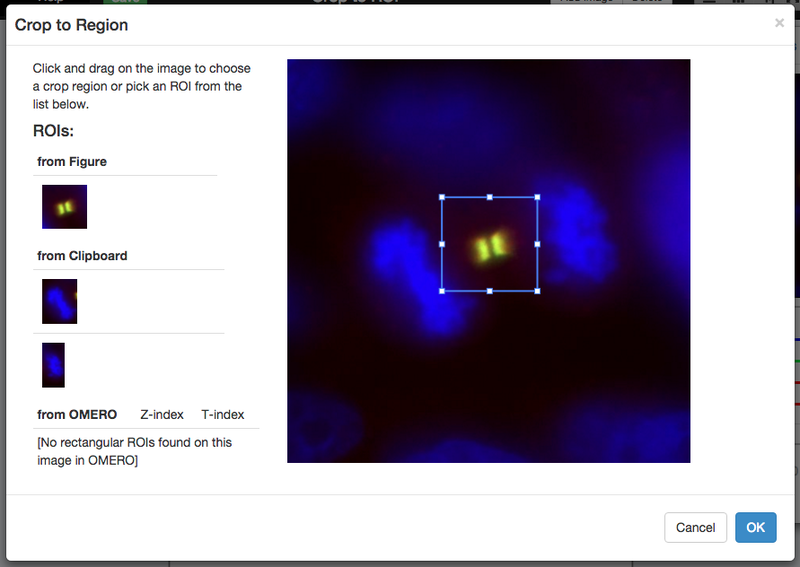 However, if you’d like to try this now you can use the demo app at http://figure.openmicroscopy.org/demo/. If you have any comments or suggestions, it would be great to hear from you. This gives us a chance to fix issues before the release. So how does the demo work, and what OMERO server does it use? It can also use the OMERO server to save the figure file and export the figure as PDF or TIFF files. However, OMERO.figure doesn’t have to get data from its own “host” OMERO server. It can get data from any OMERO server that is available to you on the internet (either you are logged in or the OMERO server is a public repository). The JCB DataViewer provides public image data and image rendering, but doesn’t support saving of figure files or export of figures to PDF / TIFF. You can’t save or export figures (as described above). File > Open uses a small number of example figures saved within the app itself. You can edit these but not save changes. In fact, it’s not just the demo app that can add images from publicly available OMERO servers. The regular OMERO.figure also has this feature (in case you want to do that). Enjoy using the demo app. And watch this space for new ROI features soon, ahead of their release in OMERO.figure 1.2.0. As you may have noticed, the ‘figure’ repository has changed ownership from me (Will) to the OME team at https://github.com/ome/omero-figure. #OMERO.figure has moved to http://t.co/l0HsmGyfrF and https://t.co/Rhblqbc7Lv. My "baby" has grown up and been adopted by @openmicroscopy! This makes it easier for us to include the app in our automated deployment and testing workflows and is recognition that development and testing of OMERO.figure is now a team effort. From now on, individual Pull Requests will be deployed, reviewed, tested and any issues addressed before being merged, in the same way as on all the other OME projects. The same process applies to the OMERO.figure website (including this blog post) and the site has a new, improved url: figure.openmicroscopy.org, which you are looking at right now. My major focus on OMERO.figure this summer (apart from having some time off) has been working on the much-requested support of ROIs. I began by developing the tools for drawing and editing simple shapes on an image. Lines, Arrows, Rectangles and Ellipses will cover many users’ needs, with others to come later. Surprisingly, I haven’t found an existing library for this but rolling my own has the advantage of building just what I want. I’ve been using ImageJ as a guide for ROI functionality (E.g. for the way that ellipses are created) since this is clearly well aligned to what users want. However, during this time it became clear that this functionality would be useful on other apps, such as the main OMERO webclient, which still lacks the ability to edit ROIs. So I then started porting this code to a standalone toolkit that doesn’t rely on the Backbone.js library on which OMERO.figure is built. This is not quite finished, but you can try the demo here. Once this is ready, I will move back to OMERO.figure development. Initially the focus will be a dialog box that shows a ‘full image viewer’ with the ability to draw and edit simple shapes that are then displayed in the figure. A crucial part of this functionality will be the ability to add shapes to exported figures, both in the PDF and TIFF formats. Ideally ROIs will be kept as atomic entities in the PDF figures, allowing them to be individually edited in vector-based tools such as Adobe Illustrator. However, this may be a little challenging, so we’ll have to see. This core functionality will be enough to justify a major release. Following minor releases will add the ability to copy and paste ROIs between image panels and read & write ROIs from OMERO. The schedule will depend on how long it takes to get the basic workflow complete, and the time available during the main OMERO 5.1.4 and 5.2 releases. Hopefully we’ll have something out about the same time as OMERO 5.1.4, due in September. Thanks for your patience! I am pleased to announce release of OMERO.figure 1.1.1 which is a point release that contains a small number of bug fixes and minor feature improvements. Grab the release from the OMERO.figure 1.1.1 download page. I recently read an excellent guide by Benjamin Names on How to Create Publication-Quality Figures. It describes the goals of scientific figure creation (accuracy, quality, transparency) and a very thorough workflow to achieve these goals. The key is to understand your data and how it is stored, manipulated and displayed. In particular, it is important to minimise the number of steps where data is transformed and perform lossy steps as late as possible in the figure creation process. Benjamin documents specific tools that he uses for his workflow such as ImageJ for images and Inkscape for figure layout. But much of his workflow can also be applied to OMERO.figure since it was designed with the same principals in mind. I highly recommend you read the guide above, as it provides a lot of background information on how computers handle vector and raster data. The steps of Benjamin’s guide that can be replicated in OMERO.figure are described below. The OMERO server stores your original microscope files and can render them as 8-bit images using your chosen rendering settings. Single-color LUTs can be applied to each channel over a specified intensity range and channels can be toggled on and off. None of these changes will alter the original microscope data. OMERO.figure does not require you to save 8-bit images before creating a figure, since all rendering is done ‘live’ within the figure app itself after importing images, as described below. OMERO.figure is similar to Inkscape and Adobe Illustrator in that it defines figures in a vector-based format that embeds linked images. This means that moving and resizing images within a figure does not require resampling of pixel data, avoiding loss of image quality. Screenshot: Editing layout and rendering settings in OMERO.figure. Try the demo</a>. Data from Wang et al JCB 3013. The resolution (dpi) of images in OMERO.figure is calculated from their size on the page and the printed size of the page itself (which can be edited under File > Paper Setup…). The dpi of each image can be seen under the ‘Info’ tab and will change as the image is resized and zoomed. Journals usually require all images to be at 300 dpi or above in order to avoid a pixelated appearance when figures are displayed at their published size. If you need to increase the dpi for an image, you can set an export dpi and the panel will be resampled as necessary in the exported PDF. OMERO.figure allows you to crop images. It uses a ‘clipping mask’ to produce the cropping effect which means you can undo or edit the crop at any time. You can crop by using the zoom slider to zoom the image, then pan to the desired spot, or you can use a standard ‘crop’ tool to draw a crop region on an image. Scale bars can be easily added to images in OMERO.figure and the known pixel size will be used to calculate the correct length. Scale bars are vector objects overlaid on the image and will be automatically resized if you resize or zoom the image. OMERO.figure offers export in PDF and TIFF formats. Both are generated on the OMERO server using a Python script and the Python Imaging Library (PIL) for image manipulation. Figures are saved on the server and are then available to download. Tiff images, at 300 dpi are generated by resampling all the embeded images using a bilinear filter. Vector data such as labels and scalebars is rasterized and overlaid on the image. The Python script uses the Reportlab library to produce PDF files. Images are rotated, cropped and resampled to the chosen dpi as necessary and saved as TIFFs before embedding in the PDF. Labels and scalebars remain as vector objects that can subseqently be manipulated in other vector-based packages if needed. This option increases the transparency of the image processing steps, and also provides images that can be used for other purposes if needed. OMERO.figure is a web application that stores figures in a vector-based file format linked to images. By linking to the original microscope images in the OMERO.server, we have complete control over rendering of high bit-depth images within the figure. Only when the figure is exported do we need to save images as 8-bit TIFFs. This pushes the lossy and file-format specific steps to the very end of the figure creation process, ensuring the highest possible quality of images in the final figure. Thanks to Benjamin Names for his original guide which provided the basis of this article. I am pleased to announce release of OMERO.figure 1.1.0. This release adds a number of features to the editing and export of figures. Under File > Page Setup you can choose up to 10 pages for the figure. Pages are laid out in a grid on the canvas and image panels can be dragged across the canvas onto the chosen page. Export will generate a multi-page PDF document or multiple TIFF images. A crop button beside the panel zoom slider launches a crop dialog. The crop region can be manually chosen by dragging to select an area of the displayed image. Alternatively, existing Rectangular ROIs on the image will be loaded from OMERO and can be picked as a crop region. On the ‘Info’ tab, you can set a minimum resolution for image panels when they are embedded within the PDF figure on export. For example, 300 dpi is required by many journals. The Info tab will then display the ‘current’ dpi in the figure alongside the export dpi. When the figure is exported as PDF, the resolution of these panels will be boosted if it is less than the chosen export dpi. Additional pixels will be created in the image and the data resampled using a bicubic filter. You can now choose to export the figure as a TIFF image at 300 dpi. This matches the submission format for many journals and allows easy embedding in presentations. Images are resampled using a bicubic filter to match the final figure dpi. Multi-page figures will be exported as multiple TIFFs in a zip file. A PDF info page is also included if your export is in a zip. An additional export option allows the constituant images within a figure to be exported alongside the figure as TIFFs. For each image panel, the full sized TIFF of the image is exported, as well as the cropped and rotated TIFF that is embedded within the PDF or TIFF figure. If images are resampled to increase their dpi, they will be saved before and after resampling. This provides greater clarity as to the processing steps used in generating the figure and the TIFF images could also be used for creating figures in other applications. Legends can be added to figures and will be included in the info PDF page when the figure is exported. You can use Markdown syntax to add simple formatting, such as bold and italics. Other formatting is supported in the web view, but may not be displayed properly in the exported PDF info page. When multiple panels are selected, they can be automatically resized to “Align their Magnification” such that features appear the same size in all panels. Labels can be added to Scalebars to indicate their length. A color picker allows any color to be chosen for image channels and labels. Units support: If used with OMERO 5.1, the pixel size units in imported images will be used for scale bar labels. Unicode support: Figures can now contain special characters. Figure export errors are now handled with an error button which displays the error in a new browser tab. Grab the release from the OMERO.figure 1.1.0 download page. This release allows OMERO.figure to be used with the latest 5.1.0 OMERO release. This release adds no new features or other bug fixes to OMERO.figure. However, a major release of OMERO.figure with several new features and bug fixes should be available in 2 or 3 weeks. When looking to add a color-picker to OMERO.figure as requested, I searched for “bootstrap colorpicker” since all the UI is currently built using the fantastic Twitter bootstrap framework. I quickly found bootstrap colorpicker which seemed to do everything I needed. The only problem was that the color-picker itself was smaller than I wanted, at only 100 pixels wide. However, these changes alone broke the colorpicker, since it was still using the 100px size in the plugin. Fortunately a little inspection of the code revealed that these dimensions were configurable in the plugin’s ‘slider’ option. I don’t have a fixed release timetable for OMERO.figure, but I try to work on it when I can and release as soon as there’s enough features to justify it. Since I’ve recently added functionality for cropping panels to ROIs, multi-page figures, scalebar labels and resize by magnification, it’s time to start preparing for the next release, which I expect will be 1.1. We can build and deploy the current ‘develop’ branch to a testing server using a continuous integration job at ci.openmicroscopy.org to allow all team members to test the release candidate. The OMERO project has an extensive series of testing scenarios that describe how each feature of the application can be manually tested. These have been extended with a comprehensive set of tests for OMERO.figure. Testing scenarios for the new features will need to be added to the suite and then the complete release testing can begin. This disciplined approach ensures that there are no gaps in the testing and allows the testing to be split up among multiple team members if needed. Preparing video demonstrations is a good way to document new features. Even though the youtube viewing figures for existing videos have been a little disappointing, I’m still going to continue the exercise for future releases because it helps me find bugs. When developing the application, you tend to simply test the funtionality of a single button or edit at a time. It’s only when you try to demonstrate the finished feature as part of a realistic scenario that you find flaws or bugs in the workflow. Both of the above exercises will likely find a number of bugs or issues that need addressing and retesting. Hopefully the whole process will proceed smoothly and you can look forward to another OMERO.figure release in the near future. We have decided to remove the beta flag from OMERO.figure with this release, since it has been in use on our production OMERO server since its first release in March of this year. During that time, there have only been minor bug reports and the file format has remained very stable. For Z-stack images, you can click a button (below the channel buttons) to turn on Z-projection. The range of Z-indices can then be chosen using a 2-handled Z-slider. Initially, the Z-range is only 5 slices and is centered on the current Z-index. This allows you include objects just above and below the current position in the projection, without losing your place in the Z-stack. If you want a projection of the entire Z-stack, you can simply drag the sliders to the full range. Small arrow buttons at the ends of the Z and T sliders now allow you to increment the Z or T index of all the selected panels by 1 at a time. This is particularly useful if you want to ‘play’ through a movie of several selected panels at once. Exported PDF figures now contain the url of the source OMERO.figure file so that you can always return to the original figure. When you go to open a figure (File > Open), only figures owned by you are initially displayed in the list. You can find files belonging to collaborators in your OMERO groups by using the ‘Owner’ drop-down chooser. Editing of timestamp labels previously caused all selected labels to show the same text. This has now been fixed. Exported PDFs are now named according to the figure name, instead of a timestamp-based name. Grab the release from the OMERO.figure 1.0.0 download page. One of the bug fixes for the last release required me to test the image viewer in isolation (see screenshot above). I needed to quickly test different image widths, heights, offsets and rotation. However, the html template for the viewer was embedded with all the other templates in script tags within the index.html page. This meant that it wasn’t available to use on a dedicated test page without copying and pasting the code elsewhere. Googling for “backbone templates in separate files” led me to this stack overflow answer which recommended the use of “a grunt task (grunt-contrib-jst) to compile all of the HTML templates into a single templates.js file”. So that’s what I did. Now all the html templates live under static/figure/templates and are compiled into a single templates.js file by a grunt ‘jst’ task. I also added a grunt ‘watch’ task to monitor changes to any of the template files and recompile them all if any changes are saved. So if you are editing any templates you need to have ‘$ grunt watch’ running on the command line. All that is configured in the Gruntfile.js . Most importantly, this allowed me to create the viewer test page and to fix the bug, but it also means that the templates are easier to find and edit now, instead of being lost in one massive html file. When a figure panel is selected, the Info tab at the right will contain a link to the image in webclient, so that you can find where every image comes from. The list of files in the File > Open dialog can now be searched by text entered into a filter field. You can also choose to only show files owened by a particular user. Installation of OMERO.figure with OMERO.web deployed under a url prefix, E.g. server/omero/webclient was not working previously but has not been fixed and tested (see previous blog post). If a panel was stretched vertically, and the viewer was zoomed and panned off-centre, the offset was displayed incorrectly in the figure. In this rare scenario, the bug in the web viewer was only noticeable when the figure was exported to PDF. The fix means that affected figures will appear differently when OMERO.figure is updated. Grab the release from the OMERO.figure 1.0.0-beta2 download page. On a recent trip to the University of Sussex to talk about OMERO, I presented OMERO.figure and it was well recieved. They tried to install it but they use a different web deployment there, with everything under an /omero/ prefix. E.g. server/omero/webclient/. Unfortunately, we had neglegted to test OMERO.figure under these conditions since our test server in Dundee and my local development server are both run without any url prefix. $ dist/bin/omero config set omero.web.application_server "fastcgi-tcp"
Then apply the omero_nginx.conf.patch below manually. It won’t apply directly because my paths will be different than yours. You may also need to change ports based on what else you may have running. Following this, I was able to fix all the issues with OMERO.figure under /omero/figure and all thse fixes will be in the imminent 1.0.0-beta2 release. But now I’m trying it on a new machine some time later, this fails and I need to move it within the nginx directory as described above. Instead of e-mailing your PI a pdf or tiff of your figure, you can share figures you’ve created in OMERO.figure by saving a file and sending them the url. OMERO has ‘groups’ of users and the permissions of each group can be set to allow other group members to view each other’s data. In this case, other members of your group will be able to see your figures via a url. If they have permission to view it they can simply follow the link, log-in and view the figure. 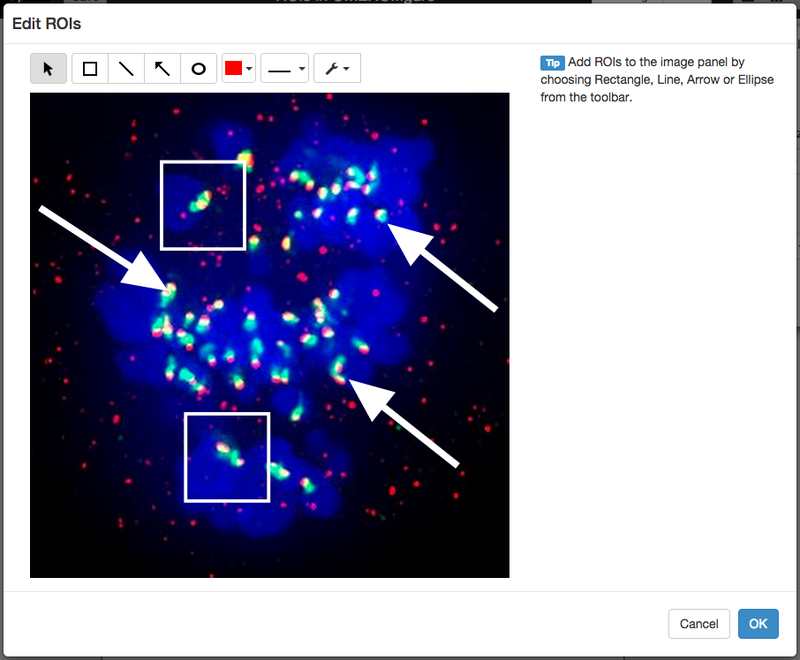 Collaborators in your groups can also go to the File > Open dialog in OMERO.figure and browse available files there. They will be able to explore and edit your figure in the same way as you can, but will not be able to save their changes. However, they will be able to save thier own copy of the figure. Then I installed local copies of grunt and jshint, which are automatically registered in the package.json we just created. Now I created a Gruntfile.js and used the Gruntfile.js linked from the original blog post as a template. Since I wasn’t ready to run any Jasmine tests just yet, I commented out the Jasmine parts of the Gruntfile.js and updated the paths to files that I wanted jshint to parse. revealed that I was missing a .jshintrc file under figure/ so I also grabbed this from https://github.com/velesin/jasmine-jquery/blob/master/.jshintrc and will update if needed later. ^ Don't make functions within a loop. ^ Use '===' to compare with '0'. Warning: Task "jshint:all" failed. Use --force to continue. Hooray, /Users/wmoore/Desktop/figure/figure/.travis.yml seems to be solid! I committed all the above changes to a new branch, pushed to github and opened a new PR: https://github.com/will-moore/figure/pull/4. I found that the Travis build failed due to version numbers in the package.json file. After these were fixed, the build ran jshint correctly and failed as above. With those errors fixed and pushed, the build now passes. Yey! Then I created my first jasmine spec file ‘PanelSpec.js’ under a new /spec directory. Initially I created a test that would fail so I could see this locally and on the travis build after pushing. Now I returned to the /Gruntfile.js that we edited above and uncommented the jasmine lines, pointing the src list to various js files. On first running ‘$ grunt test’ I found that I don’t have a local copy of jQuery, since the OMERO.figure app simply loads the copy of jQuery provided by webgateway. With this added, I also found that I couldn’t simply add ‘static/figure/3rdparty/*.js’ to my src list because various libs here had dependencies on each other and had to be loaded in a particular order. After adding jquery, underscore and backbone, in that order, I was still getting warnings on running the test locally, but the test seemed to work and get the expected error. >> 7 files lint free. Warning: Task "jasmine:src" failed. Use --force to continue. At this point I pushed to github to see if I got the same result via Travis, but had forgotton to use the ‘–save-dev’ flag when doing npm install of jasmine. After manually updating package.json I pushed again and this time got the failing test on Travis as expected. Finally I fixed the failing test and now Travis passes. At this point the PR https://github.com/will-moore/figure/pull/4 is good to merge! The two main goals of OMERO.figure were to make it quick to get the layout of images right AND easy to adjust the settings of multiple panels at once. Dragging and dropping of images is the most intuitive way of creating a particular layout. But aligning them all into a grid that is typical in most figures takes time. OMERO.figure has a “grid” button that will attempt to snap all the selected images into a grid with thin spaces between them. Also, when you copy and paste a row of images, OMERO.figure will position them directly below the original row with appropriate spacing. If you copy a column, it will be pasted as a new column to the right. However, if you wish to change these once you have started to assemble your figure in Photoshop or Illustrator, you often have to go back and re-export the image. With OMERO.figure, the first step is to bring your chosen images from OMERO into your figure. Then you can adjust all the settings of each panel as you construct the figure. If you want to change the Z-section or timepoint of a multi-dimensional image, you simply select the panel and drag the sliders in the viewer on the right. In many figures it’s common to compare images with different experimental treatments by applying the same settings to each one. For example, turning the same channels on / off or selecting the same time points in multiple movies. In OMERO.figure, you can syncronise the settings across multiple images by selecting the appropriate panels, then adjusting the settings in the ‘Preview’ viewer to the right. I used to be a biologist in the lab a (good) few years ago now, and I remember the time it took to create figures from my microscope images. I had to open each Deltavision image in the SoftWoRx application, copy and paste rendering settings from one image to another, then save each one as a tiff for each channel I wanted to show. I also had to write the rendering settings in my lab notebook in case I wanted to come back and export more images with the same settings later. Then I’d go to Photoshop, copy and paste each tiff into a single figure and carefully arrange them in appropriate rows and columns. That was before we had OMERO available. One of the first useful pieces of functionality I contributed to OMERO was the “Figure scripts”, as part of the OMERO 4.2 release in the summer of 2010. These are Python scripts that constructed various standard types of figure, such as a Split-view figure or ROI figure. See a Figure scripts Demo Movie. These scripts proved quite popular, but are very inflexible and are mostly used as a quick export for a lab meeting or print out. It was still necessary to create most figures manually, requiring individual export of all the necessary panels. So we added the ‘Batch Image Export’ script that would create a zip with all the separate planes and channels for your chosen images, along with a log of their rendering settings. However, there was clearly a need for a tool that would give users the flexibility they required, but still provide the rapid layout of panels with coordinated rendering settings, regions of interest, labels and other common features. I wanted to create something halfway in-between the “Figure scripts” and Adobe Illustrator. Who knows if this blog is going to turn into anything worth reading, or even if it’s going to see the light of day? But I’ll give it a go and if nothing else, I will at least have learnt how to use Jekyll for creating blogs.